Chrome: great on Android, but irrelevant on iOS? Look out! The browser wars are back! 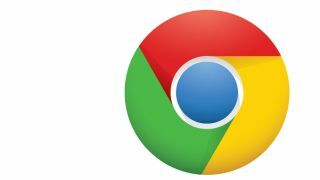 That's what analysts at Macquarie Capital reckon, anyway: in a note titled "The Browser Wars Part Deux" they suggest that "Google Chrome Browser for iOS is Coming". It may well be. Will anyone bar a few Google fans care? Macquarie makes several arguments for Chrome on iOS, and I reckon one of them is right and the rest are wrong. I'll start with the right one first: a Chrome browser on iOS could reduce the amount of cash Google has to give Apple for all those Mobile Safari search queries. That's true, but the other arguments - that Chrome did well on PC so it can do well on iOS, and that Chrome ads really shifted copies on PC so they'll do the same on iOS, that reviews of Chrome on Android are quite positive - don't spell Safari Killer to me. Macquarie rightly says that Chrome on the desktop has done very well and reduced the money Google pays out to other browser makers for searches, which is significant: Firefox only lives because of Google search money. However, iOS isn't the same as 1990s-era Windows, and when Macquarie says that "there are many parallels to the browser wars of the late 1990s" I think they're wrong. People jumped from Netscape to Internet Explorer (and back again) for all kinds of reasons, but the main reason Internet Explorer triumphed in the first browser war was because Microsoft stuck it into every copy of Windows. If history's repeating, then Google is on the losing side here: it's trying to get a foothold on somebody else's OS, an OS that already ships with a perfectly good browser. Even if you can get iOS users to download the app, it won't work properly. As Kevin Tofel rightly says on GigaOM, with rival browsers "none of them can be set as the default browser, meaning all links in emails, texts or other apps will always open in Safari, regardless of what other browsers are installed." I'm not convinced Google can beat Apple in the speed stakes, and the features Chrome on Android has that Safari doesn't - bookmark and tab syncing, a combined address and search bar and easy private browsing - are hardly earth-shattering or hard to duplicate. Browsers become popular because other browsers fall out of favour. Internet Explorer was overtaken by Firefox because Microsoft effectively stopped developing it, leaving plenty of room for a better browser; Firefox was overtaken by Chrome because it was getting slow and old while Chrome was blisteringly fast. For Chrome to do well on iOS it really needs Apple to really mess up Safari. How likely is that?